Occupying a dominant position on the corner of Benton Road, our High Heaton office is a major player in Heaton and the surrounding areas. Our team, led by Sarah Jones, is renowned for excellent customer service at award winning levels. The main areas we cover include; High Heaton, Heaton, Benton, Walker, Byker, Wallsend, Howdon, and Jesmond. If you’re looking to move, or if you simply need some advice, give our friendly team a call on 0191 270 1122. Our branch is open from 9.00am to 5.30 pm Monday to Friday, and from 9.00am to 4.00pm on Saturdays. "I have been an estate agent since 1998 and have worked in various roles as a sales negotiator, valuer and manager. During my time in the industry I have gained valuable experience to ensure a property is marketed to the best effect and that once an offer is agreed, the sale goes through safely to completion with buyers and sellers updated at all times. I have a focus on customer care and client relations and myself and the team at High Heaton ensure we offer a superior service. We cover High Heaton and the surrounding areas of Jesmond, Sandyford, Walker, Byker and Wallsend. I am passionate about the area we cover and offer advice on the benefits of living here and actively promote our properties to meet the needs of buyers." 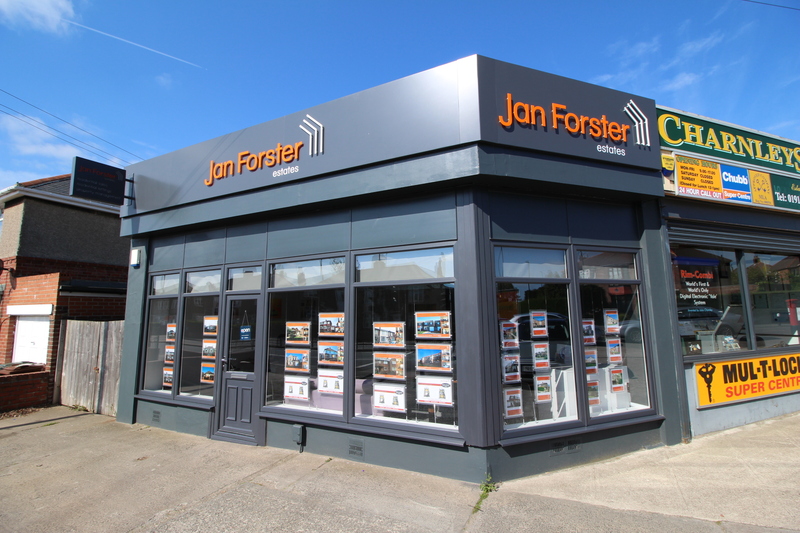 "Having worked as a manager in high-end sales for 16 years, I began working at Jan Forster Estates as a Sales Negotiator. I was very successful at selling properties and ensuring smooth progress to exchange and completion. As a result, I quickly progressed to carrying out valuations across the region, now specialising in the High Heaton, Forest Hall and surrounding areas. I am extremely passionate and determined to help clients achieve the best possible prices for their properties but sell them in a realistic timescale. I aim to give personalised advice to every client and recognise that it is a true privilege to be invited into people’s homes. I thoroughly enjoy working for Jan Forster Estates which is still a family run business, giving me the opportunity to tailor marketing packages to clients’ needs and being able to adapt to the changing marketplace. I enjoy the challenge of estate agency and maintaining our offices’ top spot in the areas we cover for selling properties but I also particularly like meeting people and helping them with their moving needs – always with a smile on my face!"